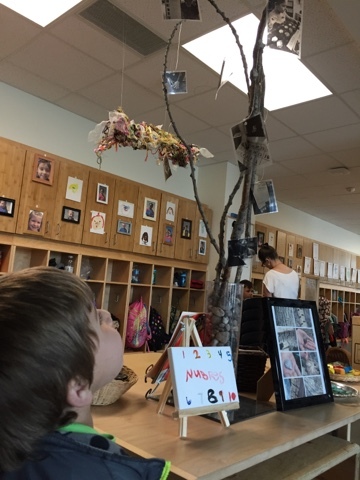 The fluttering of transparent photos on overhead branches caught many children's attention. "Look up there...it's me!" 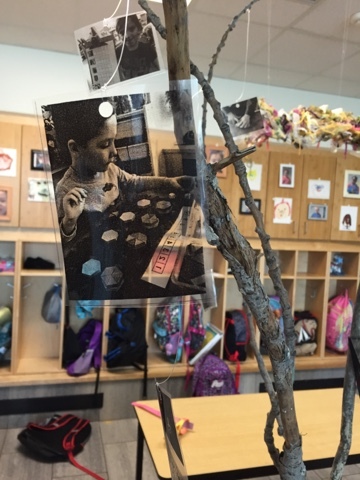 We took some of our favourite photos of math experiences and copied them onto transparencies. 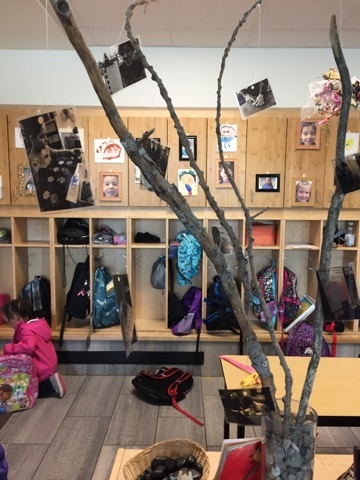 We wanted to create a display that children would notice and also hoped that they might be interested in the transparent material or way in which the photos floated in the breeze. On Monday we will ask them to use the transparencies and markers to record some of their feelings and ideas about math.